Launched in 2016, Amadeus Silver III joins the nine-strong Amadeus fleet, which will increase to 10 when it launches a ship in France in the spring of 2017. Sailing on flexible and competitively priced itineraries, the 168-passenger vessel is the near identical sibling to Amadeus Silver II, which debuted in 2015. 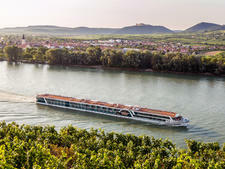 The ship features some extra -- and often novel -- touches that you won't find on other river cruise lines, including spacious walk-in closets in all cabins, an onboard hairdresser, themed party night and late-night snacks. Another difference is the a la carte excursion program. 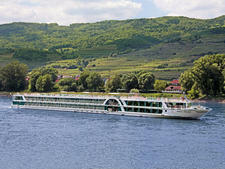 Most river cruise operators include a daily shore tour in the fare, irrespective of whether passengers want to go or not. On Amadeus, tours can be purchased individually or as part of a variety of packages. 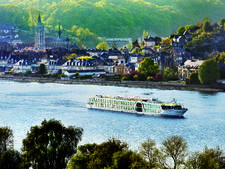 Although Austrian-owned Amadeus is not a household name compared to other mainstream lines (and shouldn't be confused with AmaWaterways), it has an impressive pedigree and is one of the oldest river cruise companies in Europe. 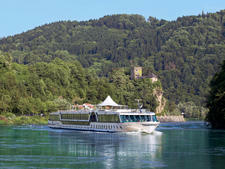 Martina and Wolfgang Luftner launched river cruise vacations more than 30 years ago, and the company remains a family-run organization based in Innsbruck. In recent years, it has been marketing cruises outside its homeland, and English is the primary onboard language alongside German. 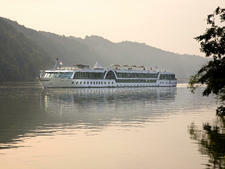 The ship boasts a modern, elegant decor, and in a nod to its Austrian heritage includes a Viennese cafe. The multilingual crew members are unfailing friendly and helpful, and as the ship carries less passengers than some other vessels of the same size, they provide a very efficient and personal service. 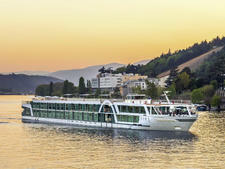 Amadeus is the only river cruise line in Europe to hold the Green Globe certification for sustainable travel. The award requires companies to demonstrate energy and water-saving measures, plus ongoing ecological awareness in everyday routines. 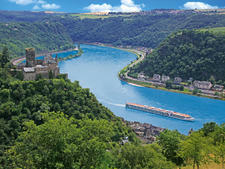 Amadeus Silver III sails on a variety of itineraries on the Rhine, Danube and Moselle. 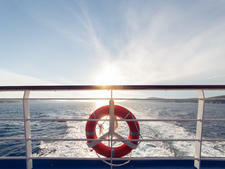 Fellow passengers are multinational, much more so than you find on ships primarily catering to the North American market. This makes for a really interesting and cosmopolitan atmosphere, and it's fun chatting with folks from different parts of the globe. On our cruise, passengers included Germans, Brits, Canadians, Portuguese, Israelis, Egyptians and Indians -- many on their first river cruise. The age demographic was more varied too. 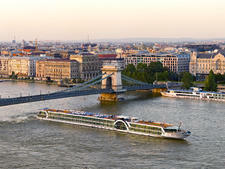 In addition to 55+ and seniors -- who traditionally make up the bulk of river cruise passengers -- there were some couples in their 30s and 40s and a couple of adult children with their parents. There is no specific dress code, however Amadeus asks passengers to dress "smartly" for dinner. People tend to dress up more in the evening than is the norm on river cruises that mainly cater to North Americans (during our sailing, there was a complaint about a passenger who wore Bermuda-style pants to the evening meal). The guideline is "semi-formal or smart-casual" for special occasions such as the weekly captain's gala dinner. In general men wore collared shirts -- some with jackets and ties -- for dinner, with dresses, skirts, pants and smarter tops for the ladies. Jeans, shorts and casual trousers are acceptable on shore excursions, and comfortable shoes are a must. The weather in Europe is changeable, so it's always advisable to bring layers, some form of headgear, sunglasses, a raincoat and portable umbrella. The fare includes free-flowing red and white wine with dinner. Complimentary tea and coffee is served after dinner. There is a 24-hour self-service tea and coffee machine in the Amadeus Club at the aft of the ship. Cruises begin with a welcome cocktail, and complimentary cocktails are also served at the captain's gala night. There is a free early morning stretching class and passengers can use the line's complimentary bicycles while ashore, on a first-come, first-served basis. All excursions come with wireless audio guides. The onboard currency is the euro. Gratuities are not included in the fare and the recommended guideline is €5 to €7 per person, per day. At the end of the cruise, there is a tip box left at reception, with envelopes for gratuities left in the cabin. Passengers can also tip individual members of the crew direct for outstanding service. Although it is not common practice with European passengers, North Americans might want to carry some small denominations to tip local guides and shore excursion bus drivers.